Does anyone have any history on the Argus CH 5, built by Weatherhead, Cockenzie in 1947, 23 tons? She was CH in 1983 and may have become CE16 soon after. A typical ring-netter hull. Thanks. I wonder if this is the Margarita. Built as BA 325, then B 85, then TT 26. She was owned in Cheshire throughout the 1970's as Margarita TT26. Her last entry in Olsens is the year before the Argus appears. I have not, so far found any trace of her as CE registered under that name or IRCS. Thanks for in the info Douglas. MARGARITA BA325; B 95; 1962 TT 26; LL 7 sank to the west of the Burbo Bank- Mersey - mid 1980s. I don't think she is the Argus. Mike, I have a pic here of her as CH5. I think you sent me t pic when I was researching Weatherhead Cockenzie. I think she was built as Aliped VII BA220 in 1947. Hard to be sure tho, with so many Alipeds! Aliped V11 became Amy Harris in Carradale. 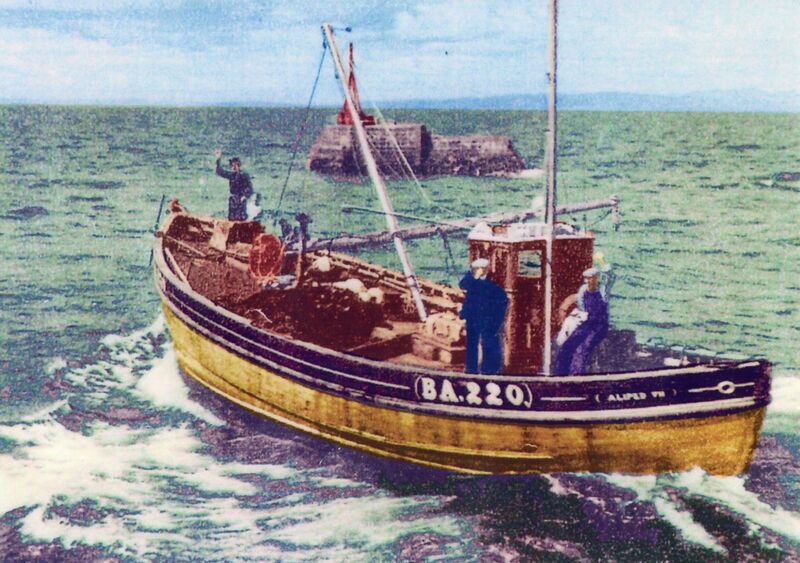 There is a pic on site of her leaving Girvan for Carradale.